The Bigg Boss show which has gained a good popularity is advancing towards its finale which is all set to happen on September 30, 2017. Ahead of this finale and into the penultimate week of the show, the next contestant has just now been eliminated. 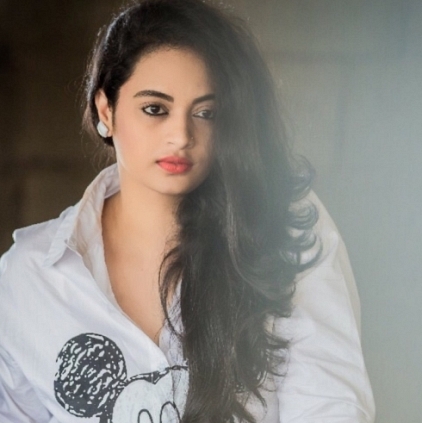 It is now actress Suja Varunee who has made an exit from the popular Bigg Boss show. The contestants who remain are Aarav, Harish Kalyan, Ganesh Venkatraman, Snehan and Bindu Madhavi. Stay tuned to this space for more updates. A few days back, it was told that a new contestant would join the Bigg Boss house in the coming days. Today's (16th August) video promos also reveal that a new contestant has entered the house in a grand gala manner. Though the contestant's identity or name wasn't revealed in the promo, it is most likely confirmed that it is Suja Varunee who would be the new contestant. Going by the promos, it is believed there are high possibilities of that being Suja Varunee, and we'd officially know about it by tonight. She was last seen in Sasikumar's Kidari and Arun Vijay's Kuttram 23. People looking for online information on Bigg boss, Suja Varunee will find this news story useful.